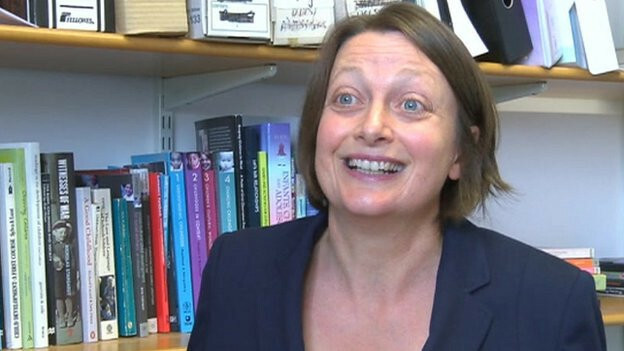 The new Children's Commissioner for Wales has been announced as Professor Sally Holland of Cardiff University's Cascade Centre which specialises in children's social research. Prof Holland, pictured below, said she is "delighted and honoured" to be offered the job. She will take over from Keith Towler in April this year – he is stepping down after seven years in post and well-publicised delays over finding a successor. Ms Holland is a well-respected academic and director of the Cascade Centre in Cardiff. She has worked closely with CFW's special interest group, the Looked-After Children's Network, which is allied to the Centre, on a number of joint initiatives. The LAC Network's chair, Steve Elliott, welcomed the appointment of Prof Holland. He said one of the projects the group had been working on with Sally Holland and the Cascade centre was to arrange a national conference to share practice as well as considering the role of research in the care and support of looked-after children. Mr Elliott said: "We know that Prof Holloand has fine a great deal of work promoting the rights of children and, in particular, on improving outcomes for all looked-after children. We welcome that this will be a key element of her focus as the new Children's Commissioner." Ministers said Prof Holland is "internationally acclaimed" for her work representing children's views through her academic research work. Ms Holland said; "Children and young people face new opportunities and challenges in contemporary society. I will work with the children and young people of Wales to ensure that their rights are safeguarded and promoted."